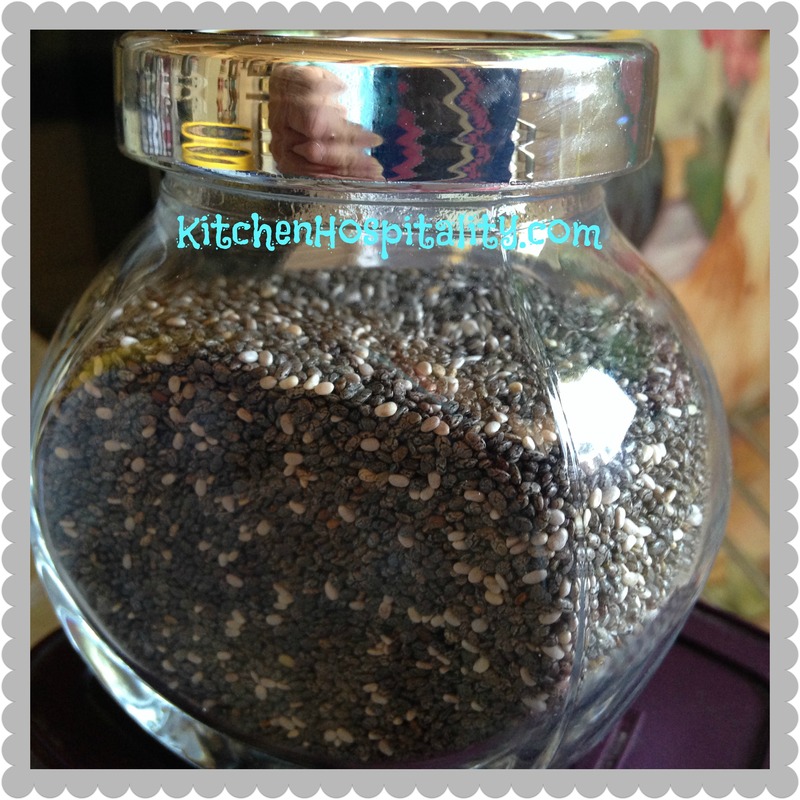 Chia seeds have become a popular nutritional staple in today’s kitchen. They can even be a substitute for an egg. How can a person grow up without ever knowing about these tiny seeds? Since hearing so much about chia seeds’ health benefits and drinking them in a beverage at a Mexican market, I was inspired and purchased a large bag of them. 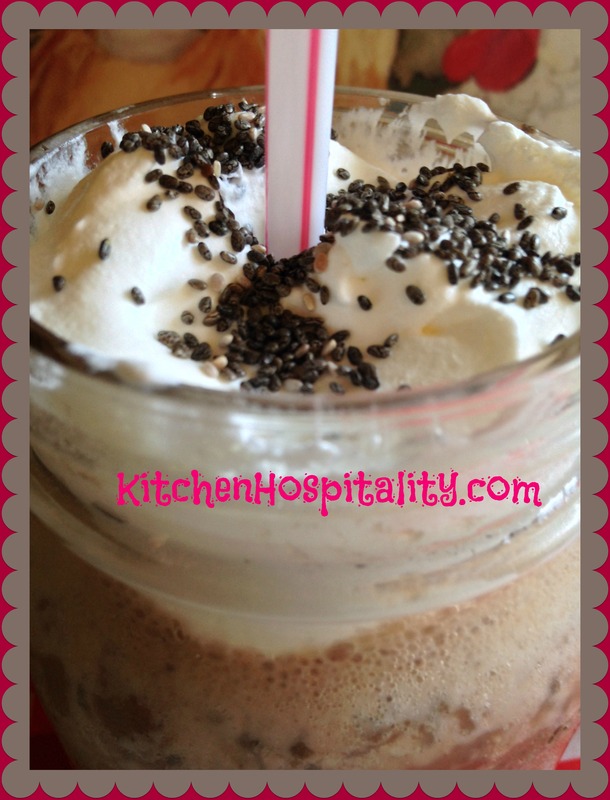 I forgot that I had them until reading Chocolate Banana Chia Seed Smoothies over at the Joy Love Food blog. Joy’s recipe got me all inspired, and I remembered my chia seeds. Got a minute to read about my experiment? I have a habit of coming up with quick whatever-is-on-hand recipes. 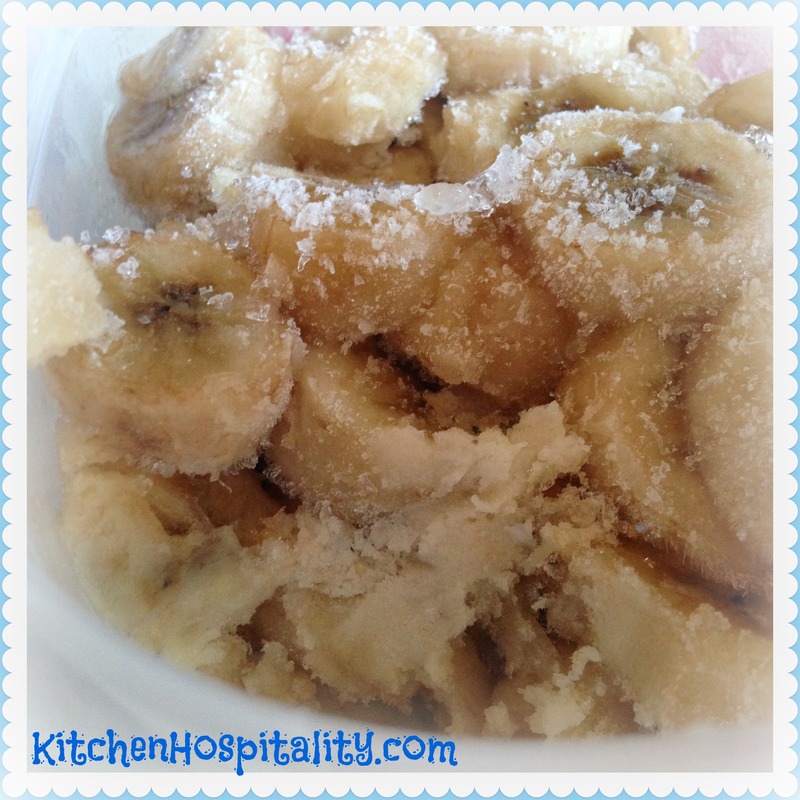 One of the ingredients in Joy’s recipe is frozen banana chunks which I just happened to have in the freezer. Frozen banana slices make the best-flavored ice in smoothies. Add strawberries, peaches or beets (beet and banana smoothie is one of my favorites). I didn’t have any yogurt in the frig, but I did have vanilla and orange ice cream. Instead of milk, I used coconut juice. The results? It actually tasted good. However, it could have been a little sweeter and thicker. After drinking it, I realized it wasn’t as thick as I thought it should be because I hadn’t put enough banana chunks in (I had forgotten that Joy had “3 cups” in her recipe, and I used 1 cup). Regarding the nutritional value of a chia seed smoothie, perhaps Joy’s recipe is a more healthy choice compared to my version. A few changes on my part, though, would remedy that. I would use her version for the chocolate banana flavor. The orange-vanilla flavor, on the other hand, tasted wonderful. Changing the coconut juice to milk and adding more banana slices does make a thicker smoothie. Blend.banana slices, milk, and cocoa. Mix in chia seeds and ice cream. While drinking that version, I thought of another flavor I can’t wait to try – coffee. Seriously, I have suddenly embarked on a chia seed smoothie adventure. Chia seeds purchased in a grocery store could be GMO. Buying in bulk can be pricey for pesticide-free seeds. However, if that is a concern and you prefer organic or chemical-free seeds, they can be ordered through Amazon. Hi Angie, I’m delighted that my recipe inspired you to use chia seeds in smoothies! Your orange vanilla version sounds yummy, coffee sounds great too!